Some days get busy. Other days I just get forgetful. I will not say which of these occurred the past couple days, but I will absolutely lump all three of these days into one catch-up-blog-post! On the 5th day of Sitcoms, my TV gave to me…. Christmas Wishes is a fantastic Erin (aka Kelly, for those of you who remember that) episode. Erin is one of the best characters, in my opinion, especially as the seasons went on. She goes in a new direction in this episode, which is really fun to watch. 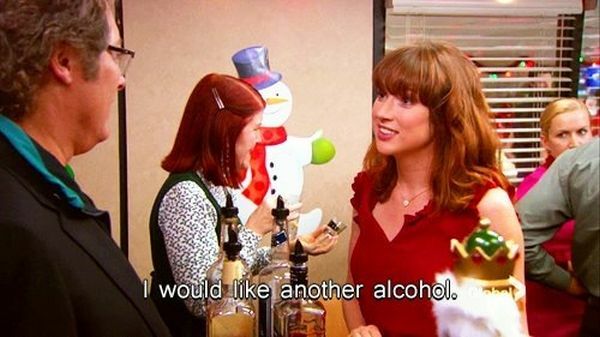 Dwight Christmas is also a great Erin episode, for all of the Erin/Pete fans out there. The way they brought everything full circle from Jim/Pam to Pete/Erin is so cool to watch, too. This episode is also a great one to watch because of the chemistry between Dwight and Jim. 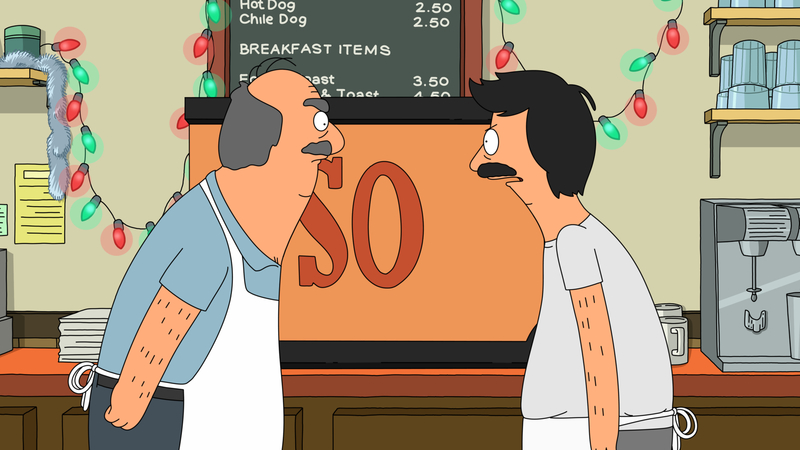 On the 6th day of Sitcoms, my TV gave to me…. First of the New Girl holiday episodes, the 23rd captures all the awkwardness of the holidays with one of my favorite lines from the show (“What are you doing in [the bathroom]?” “Eating cookies and avoiding confrontation.”). If you’re a fan of the show, it’s a nice refresher to go back and watch this episode. It’s got all of the fun of New Girl without the corniness that has grown over the seasons. I was surprised at how much I enjoyed this episode. Billy Eichner is always a great bonus. When I reread the plot, I didn’t remember this episode being anything special. When I rewatched it, I thought it was completely hilarious. 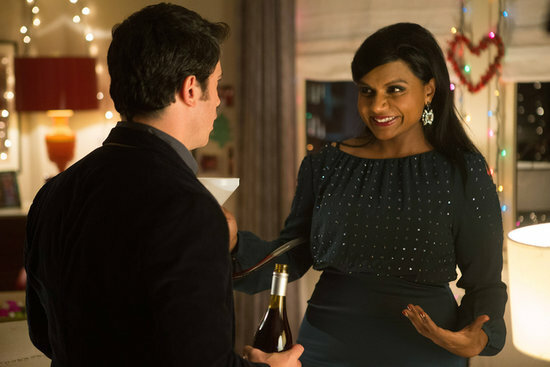 Mindy Kaling is brilliant with one-liners and timing. I adore her writing and acting; I think she’s phenomenal. A plot summary or my nice words don’t really do this episode justice. 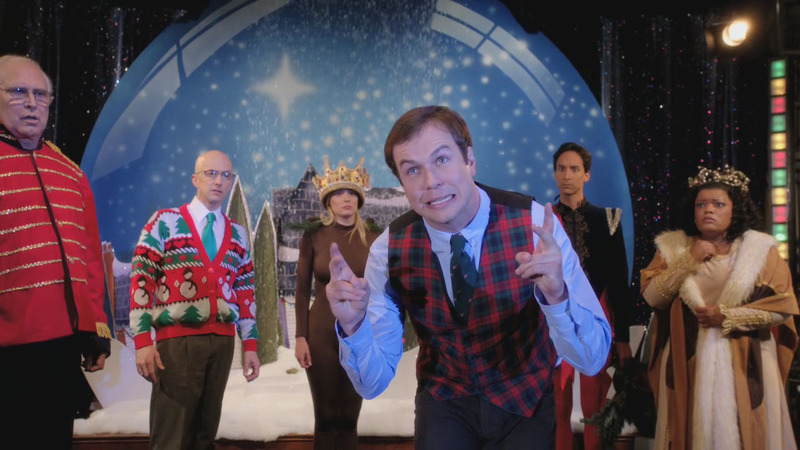 2014’s holiday episode was also really good, but I didn’t like how little it focused on Mindy as an actual person. Still great though. Tags: christmas, christmas episodes, christmas specials, new girl, sitcoms, the 12 days of christmas, the 12 days of sitcoms, the mindy project, the office | Permalink. Out of all the Friends holiday episodes, this one is my favorite hands down, and I think it’s primarily because of the open. So much funny in such a short time. Ross dresses up as a holiday armadillo in a poor attempt to not disappoint his son, Ben, who is staying with him for the holidays. Phoebe thinks Rachel won’t want to live with her after all the fun she’s had living with Joey, so she tries to torture her out of the apartment. 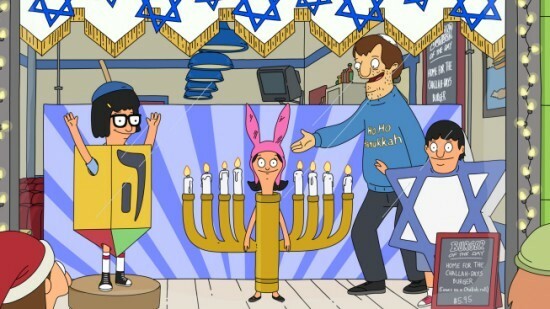 This episode is just fun and silly – perfect holiday episode. 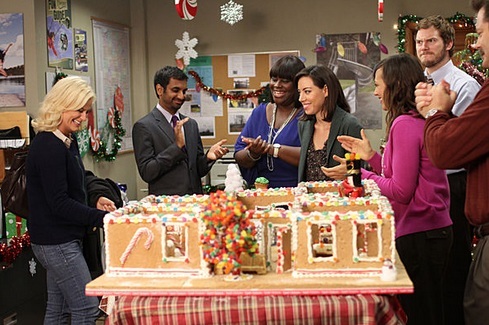 Tags: 12 days of christmas, 12 days of sitcoms, friends, sitcoms | Permalink. Modern Family holiday episodes are always fun and humorous, but if I have to pick one, I’d go with this one. There are so many great elements in this episode, and I don’t want to spoil any of them. Jay and Manny try to cut down the perfect tree; Cam and Lily attend a benefit – or so they think; Claire gets slippers. It’s great. In an attempt to stick with their parenting threats, Claire and Phil take Christmas away from their kids. Hilarity ensues. Let’s all go to Italy. I forgot to mention yesterday that these are a list of what I feel are some of the best sitcom holiday episodes, not just any random holiday episodes. They aren’t really in any specific order, although my favorite will be on the last day. 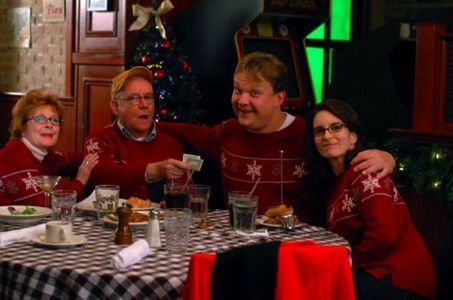 In this episode, the group finds out that Jane lied about her birthday being in the summer, and it’s actually on Christmas day. To be supportive, they decide to postpone Christmas and have Janemas instead. Sadly, although it is mentioned several times, we never see the full gingerbread Love Actually display. Tags: 12 days of christmas, 12 days of sitcoms, christmas specials, happy endings, sitcoms | Permalink. After doing some research (aka using Google), I learned that the “twelve days of Christmas” actually begins on Christmas. For some reason, I always thought the twelve days of Christmas were the twelve days leading up to Christmas – in my opinion, this makes way more sense. 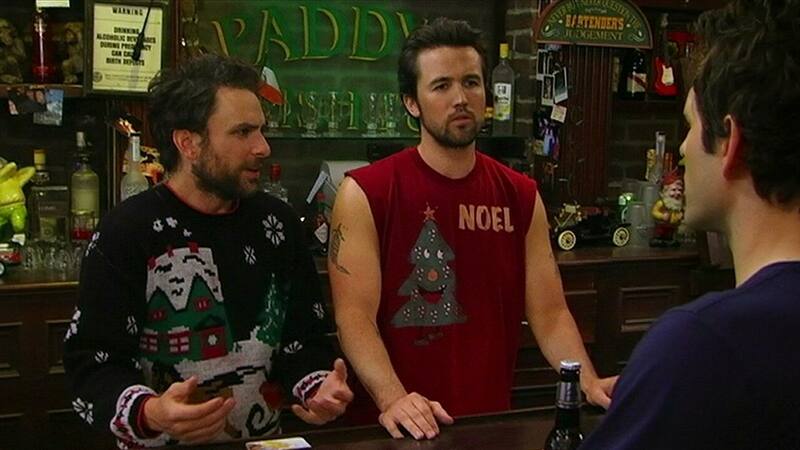 Why would you want twelve days of Christmas AFTER Christmas? Whatever. Clearly, this has already been decided. Either way, welcome to the first day of the 12 Days of Sitcom Holiday Specials. If there’s one thing the Boy Meets World holiday specials are known for, it’s feels. So many feels. Santa’s Little Helpers is no exception; the story follows Eric Matthews playing Santa Claus as he tries to make Christmas happier for a group of orphans. Eric meets a little boy, Tommy, who asks him for parents for Christmas (I told you. Feels.). Although BMW has a few holiday specials, this one is definitely my favorite. If Eric isn’t your favorite character on BMW, I don’t understand you. Alright, I’m one of the first people to hop aboard the “THIS ISN’T RIGHT THIS ISN’T RIGHT EVERYTHING IS WRONG” train when it comes to Girl Meets World. HOWEVER, I will say, this episode was not as bad as I thought it would be. Shawn Hunter (Rider Strong) comes back into the picture, and his interactions with Cory pulled the episode together for me (although I was super disappointed that there was no Feeny or Eric). To be honest, the only person on the show who doesn’t act very well is the main character (Riley Matthews) which is really unfortunate. Better casting and they may have had quite a following from people like me who are still suckers for the Boy Meets World marathons on MTV. 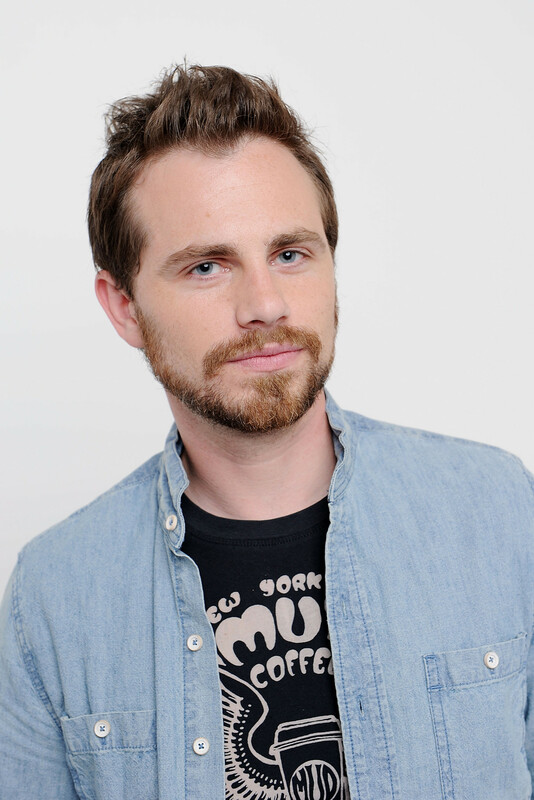 Just a side note – somehow Rider Strong managed to get even more attractive. I genuinely wish there really was a Cory and Shawn show because I would watch that. I would watch it always. 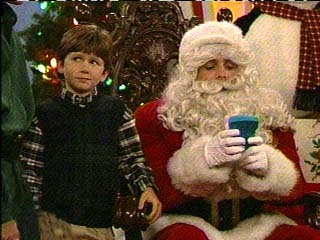 Tags: 12 days of christmas, 12 days of sitcoms, boy meets world, christmas specials, cory matthews, girl meets world, holiday specials, rider strong, santas little helpers, shawn hunter, sitcoms | Permalink.